Amitabh Bachchan, also known as the ’Big B’ is one of the most popular and respected actors in the Bollywood industry. 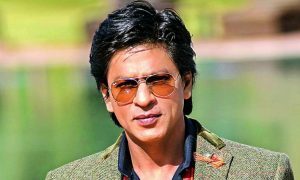 He has been the biggest superstar of his times and has remained the most influential actor in the Bollywood industry. It is always a treat to watch Big B on the screens as the amount of talent and dedication he holds even at this age is just commendable. He made his debut in the year 1969 and is still active. Let’s check out some of the top class Amitabh Bachchan movies which are a proof of him being the legend of all times in the Bollywood Industry. Don is a Bollywood crime thriller film directed by Chandra Barot and produced by Nariman Irani which was released in the year 1978.The movie is based on the Mumbai underworld boss Don.Amitab h Bachchan plays the lead role in the movie and has a double role to perform which is of Don’s duplicate Vijay.The DSP D’Silva in the movie asks Vijay to act as Don and be the secret informant of the police so that they could reach the criminals and destroy their organization.The movie went on to be a super hit and extremely successful at the Box Office.The film was also classified a golden jubilee and received a great regard from the audiences and the critics.The acting of Amitabh Bachchan in this movie is just superb and totally worth watching. 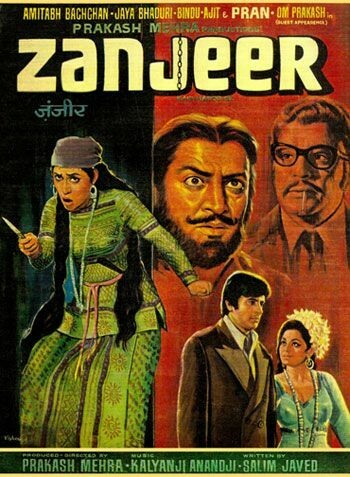 Zanjeer is a Bollywood crime action film directed and produced by Prakash Mehra which was released in the year 1973.The film features Amitabh Bachchan, Jaya Bachchan, Pran, Ajit and Bindu in the main roles.This film gave a boost to Amitabh ’s career in the crime genre and defined that he can also suit extremely well in the crime films.Amitabh was also got to be known as the on-screen Angry Young man for his bold roles in the movies.Zanjeer brought a revolution in the Bollywood industry which somehow influenced the direction of Indian cinema.In this movie, Amitabh Bachchan plays the role of an honest police officer Vijay who fights against the corruption and the gang of gamblers.Amitabh has played a great bold role in the movie and his actions and acting was the result that the movie went on to be a superhit at the box office and received a great response from the audiences and the critics. Coolie is a Bollywood action comedy film directed by Manmohan Desai and produced by Ketan Desai which was released in the year 1983. The film features Amitabh Bachchan in the lead role.The name of Amitabh in this movie is Iqbal who is a coolie at the railway station.It is based on a revenge which Iqbal(Amitabh) takes from Zafar (Kadar Khan) who was responsible for dividing his family and also killed his beloved mamu (uncle) who took his care in his youth.The acting of Amitabh Bachchan was just phenomenal and he won hearts of many people with his awesome look in the movie.The movie went on to be a blockbuster and received a commendable response from the audiences and the critics. 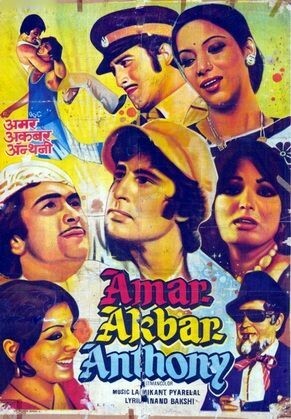 Amar Akbar Anthony is a Bollywood action comedy film directed and produced by Manmohan Desai which was released in the year 1977.The film features Vinod Khanna, Amitabh Bachchan, Rishi Kapoor, Shabana Azmi, Praveen Babi and Neetu Singh in the lead roles.The movie revolves around three brothers who were separated at the time of their births and were brought up under three different religions-Hinduism, Islam, and Christianity.The eldest brother becomes a policeman named Amar when he grew up, the middle born brother becomes a liquor dealer and the youngest brother becomes a qawwali singer.The movie is quite entertaining and reveals the stories of these three brothers about how they were separated and then how they were reunited by the worth watching incidents in the movie.The movie received a great response from the audiences and the critics and went on to be a super hit. 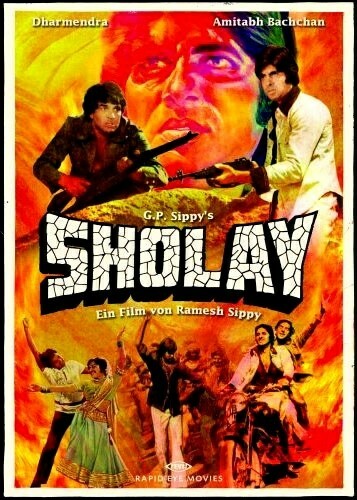 Sholay is a Bollywood action-adventure film directed by Ramesh Sippy and produced by G.P Sippy which released in the year 1975.This movie was one of the finest contributions to the Bollywood industry which involved a great story of two best friends Jai(Amitabh Bachchan) and Veeru(Dharmendra) and their encounter with a dacoit named Gabbar Singh(Amjad Khan).The retired police officer who lived in a small village named Ramgarh lost his family and also his both hands because of an encounter with Gabbar Singh,so he called Jai and Veeru who did small robberies and thought that they are capable enough to catch Gabbar Singh for him so that he could take his revenge and also save other village people from his terror.It is no doubt one of the best Bollywood films and is also counted in Top 10 Indian films of all time. 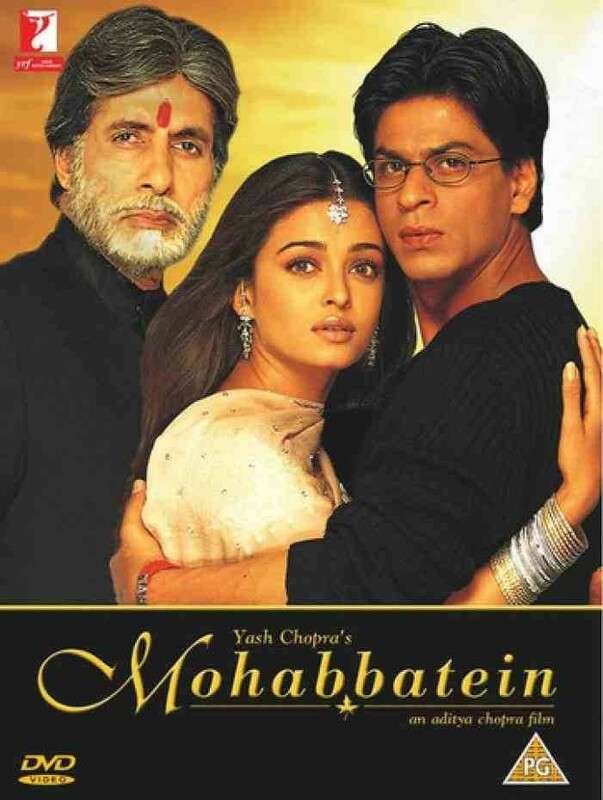 Mahobbatein is a Bollywood musical romantic drama film directed by Aditya Chopra and produced by Yash Chopra which released in the year 2000. 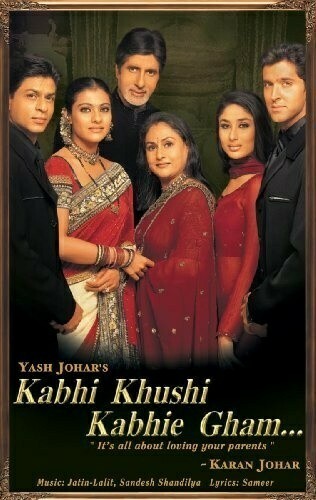 The film features Amitabh Bachchan, Shah Rukh Khan and Aishwarya Rai in the lead roles.The movie revolves around a Gurukul with a strict master Narayan Shankar(Amitabh Bachchan) who is a disbeliever of love and doesn’t want any of his students to fall in love.Lately, it is shown that Raj Aryan (Shah Rukh Khan)joins the school as a music teacher and his principles are quite different than those of Narayan Shankar and he believes in love and remembers and tells about his love Megha(Aishwarya Rai).It was a great romantic movie which depicted the presence of loyalty in love. The film received a lot of love from the critics and audiences internationally and also won many awards. Pink was an Indian courtroom drama, a social thriller which was directed by Aniruddha Roy Chowdhury, written by Ritesh Shah and produced by Rashmi Sharma Telefilms, Sheel Kumar, and Shoojit Sircar. The film got a really good approval from the audiences. It reflected the dysfunctioning of our judicial system and the problems a woman can face in an urban city due to the degraded Indian society. 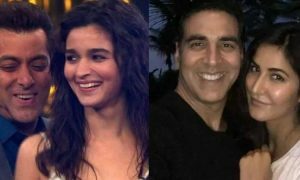 Big B acted brilliantly well coping his role with the other three ladies in the film. 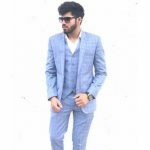 The reactions that he gave during his role in the courtroom gained all the attention and love of the audiences. 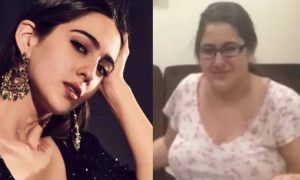 The dialogues and the drama in the courtroom were extremely inexplicable. Paa is Bollywood comedy-drama film directed by R.Balakrishnan and produced by Amitabh Bachchan, Abhishek Bachchan, Sunil Manchanda and Mahesh Ramanathan which was released in the year 2009.The film is based on a rare progressive genetic disorder that causes children to age rapidly.The movie features Amitabh Bachchan, Abhishek Bachchan and Vidya Balan in the lead roles. Amitabh Bachchan plays the role of a 12-year-old boy named Auro with this genetic rapid aging problem. 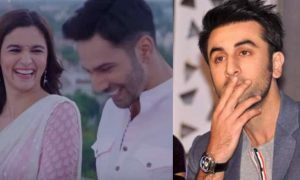 The movie mainly defines a father-son relationship and was really loved by the audiences. The movie received a great response from the critics and audiences mainly because of the unbelievably awesome acting of Amitabh Bachchan. 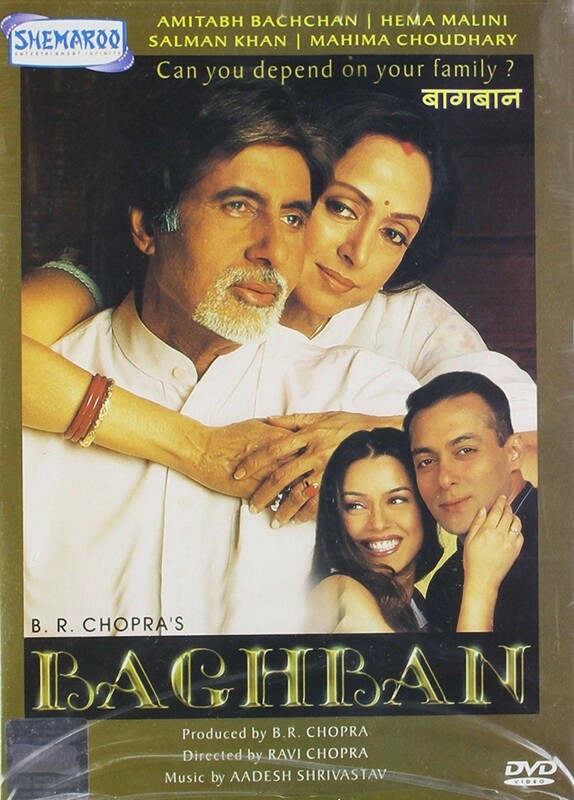 Baghban is a Bollywood drama film directed by Ravi Chopra and produced by B.R Chopra in the year 2003.The film revolves around Raj Malhotra(Amitabh Bachchan), his wife Pooja(Hema Malini) and their four sons who divide their parents which means that each parent would live with one of the sons for six months and then keep shifting after six months after Raj Malhotra retired and has no other source of income. 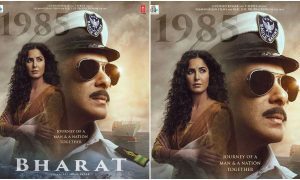 The movie shows how their sons separated them knowing how much they loved each other and also treating them in a very bad way and showing them disrespect ignoring what all they had sacrificed to build their lives.The movie also features Salman Khan as their adopted son who gave both Raj and Pooja immense amount of respect.The story was totally loved by the audiences and received a thumbs up from the critics.